We cannot shave our beards, but can we trim it? If yes, how short? Growing (leaving) the beard and trimming mustaches is an obligatory act in Islam in obedience with the command of Prophet (Blessings and peace of Allah be upon him). It is proved in SAHIHAIN, IBN UMAR narrated, Prophet (Blessings and peace of Allah be upon him) said: “Cut the mustaches and grow your beards. Be different from the polytheists”. Shaving beard is a disobedience to Allah and his Prophet (Blessings and peace of Allah be upon him), Allah Says (Interpretation of meaning): " And let those who oppose the Messenger's (Muhammad, Blessings and peace of Allah be upon him) commandment (i.e. his Sunnah legal ways, orders, acts of worship, statements, etc.) (among the sects) beware, lest some Fitnah (disbelief, trials, afflictions, earthquakes, killing, overpowered by a tyrant, etc.) befall them or a painful torment be inflicted on them. Trimming (cutting) the beard is a violation of SUNNAH. Prophet’s (Blessings and peace of Allah be upon him) beard covered down to his throat. 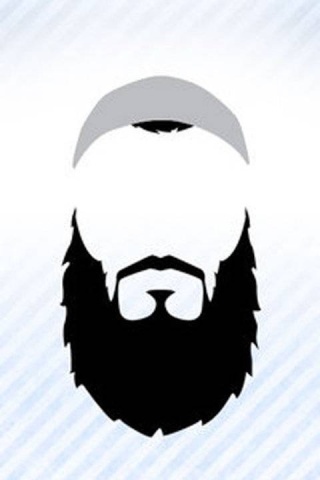 There is no sound Hadith proving that the Prophet cut or decreased his noble beard. Narrated from IBN OMAR ( may Allah be pleased with him) that he cut what exceeds a handful in length of his beard. So if the beard exceeds in length one handful, the excess hair could be trimmed without being against the Shari’ah i.e., (unlawful).